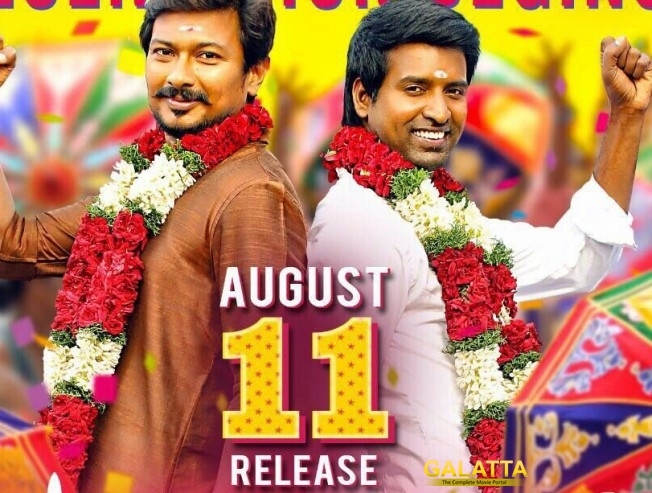 Udhayanidhi Stalin has some of the best comedy hits to his credit and he has paired up with Santhanam multiple times in the past. For the first time in his career, he is going to go completely rural with a whole new subject in Podhuvaga Emmanasu Thangam. Featuring a stellar star cast and a beautiful heroine Nivetha Pethuraj, the movie also has Soori who will be seen with Udhayanidhi. Soori is known for his comedy timing, especially in village based movies in the past and his presence is sure to make it a super hit flick. Podhuvaga Emmanasu Thangam is directed by Thalapathy Prabhu and produced by Sri Thenandal Films. >>Aathmika Signs Her Next With A Top Hero! >>Roshagadu - Kavale Full Video Song Is Here! >> Ilaiyaraaja & Udhayanidhi Stalin At Mahendran's House !! >> BREAKING: Udhayanidhi Stalin Lashes out On BJP Vice President SG Surya ! !